Our product line represents a complete system for the site-prep, placing, finishing, and paving of all types of concrete. We design and build each piece of Allen Equipment to be "contractor tough." Furthermore, Allen Equipment is specifically designed to help improve concrete floor flatness, measured by F-Numbers, and improve daily production speed and quality. Site preparation tools that get you ready to finish fast! Our rammers and variety of compactors are the perfect compliment to preparing your jobsite for an Allen flat finish. With high stroke and maximum blows per minute, our proven mid-size rammers produce impressive impact force and are perfect for everyday applications. 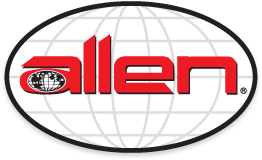 The Allen Concrete Mixers and Mortar Mixers are designed and manufactured withthe quality and high standards as the rest of the Allen line-up. Now you can count on Allen for your Mixing needs.